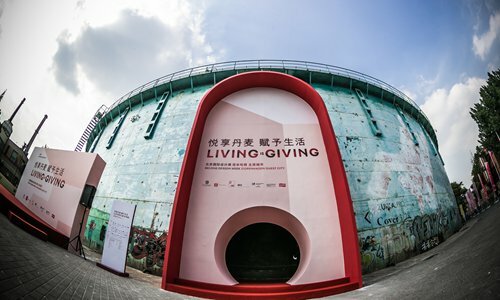 Themed "Living is Giving," Copenhagen's guest city exhibition at the Beijing Design Week 2018 revealed the many facets of life in Copenhagen on Wednesday, September 26, with exhibits depicting the city's strength in design, gastronomy, city planning and green sustainability. 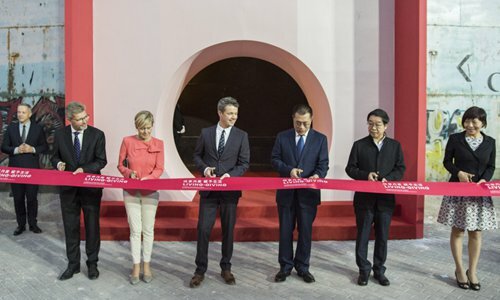 The ribbon-cutting ceremony was conducted by His Royal Highness, Danish Minister of Culture Mette Bock, the Lord Mayor of Copenhagen Frank Jensen, the Vice Mayor of Beijing Wang Ning, Beijing Foreign Affairs Office Deputy Director Zhang Qian, and the Beijing Design Week Executive Committee Director Zhao Lei. Introducing the Danish way of living, the exhibition is devoted to eight key mindsets, which include: Give kids the opportunity to thrive; give the community a space to unfold; give new life to what once was used; give nature a place at the heart of the city; give tradition a new meaning; give attention to what is local; give a green city to the generations that follow; and give yourself a break. Inside the 79 Tank, visitors can enjoy authentic Danish street food from open-faced sandwiches to hot dogs, or wear a headset to enjoy virtual reality of Danish art, catch and pop bubbles on children's bikes, or set up an art installation with colored strings. 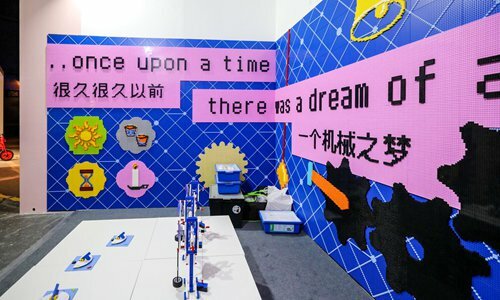 Exhibits that range from a supermarket that has merchandise made of scrap and waste, to a plastic recycling workshop, showcase how targeted design and planning can contribute to the development of future cities and city life. 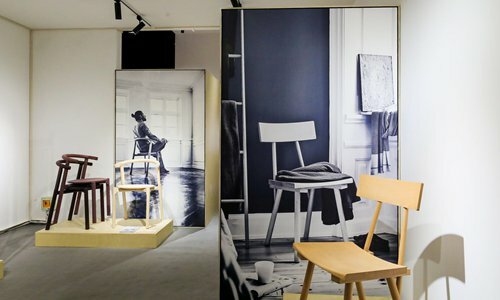 "As a guest city to the Beijing Design Week, we want to exchange ideas and share the best of our city and our country with you, including the Danish lifestyle, culture, and sustainable urban developments. We are happy to share our experiences with you here today. And we are excited to hear of the Chinese experience in return," said Frank Jensen. As one of the key programs that celebrate the 10th anniversary of Comprehensive Strategic Partnership between Denmark and China, the exhibition will open to the public from September 29 to October 5 at 79 Tank, 751-D Park, Chaoyang district, Beijing. Besides the main exhibition, for the next two weeks, a broad range of other activities will also take place, in and around the 79 Tank, the Danish Cultural Center, and Qinglong Hutong, where urban developers, architects, artists, head of public health, chefs and many more, will share and inspire each other in Sino-Danish workshops, conferences and talks.